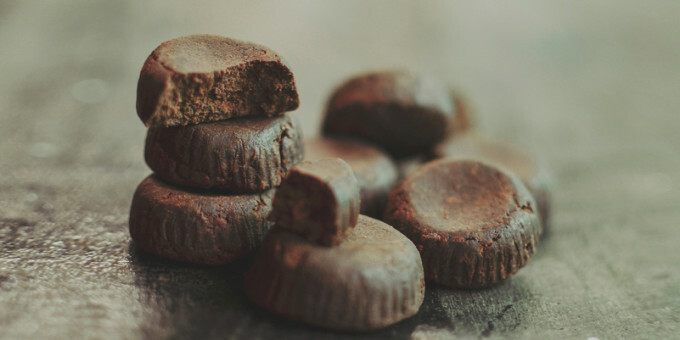 They are gluten-, dairy- and refined sugar-free and the perfect healthy chocolate treat without all the bad! To make the chocolate coating, melt the coconut oil in saucepan on low heat. Once melted, add the maple syrup (or honey), whisking briskly until well combined. Then add the cacao powder, stirring until well mixed through. Preheat oven to 180ºF and line two baking trays with baking paper. Once the oven has heated, place the hazelnuts for the hazelnut filling on one of the baking trays and the hazelnuts for the topping on the other baking tray and bake for approximately 5 to 8 minutes until the skins have darkened and are easy to remove. Rub the hazelnuts between your hands or in a tea towel to remove as much of the skin as possible. Place the filling hazelnuts into a blender and process until they form a smooth paste. Add the cacao powder, coconut milk, maple syrup and vanilla extract; process until combined and smooth. Refrigerate for 30 minutes. Line a mini muffin pan with paper liners (patty pans). To make each chocolate hazelnut cup, spoon 1 teaspoon of the chocolate coating into each liner and place in the freezer for 10 minutes to set. When the chocolate has set, remove from the freezer, spoon the hazelnut mixture into each one and smooth with the back of a spoon. Then spoon the remaining chocolate over the top and place the topping hazelnut on top of each one. Place in the freezer for 1 hour to set. I recommend storing these in the freezer. Allow to thaw slightly before eating. On the stove, gently melt coconut oil and manna until melted. In food processor, add squash, spices, coconut flour, salt and maple syrup. Pour melted coconut oil and manna on top and blend for 30 seconds being sure all the big pieces of squash are blended. Line a square 8x8 brownie pan with parchment paper. Scoop the bar filling into the pan and use a spatula to smooth it out. Bake for 25 min at 350 degrees. Remove from oven, let cool, cover and put in fridge until completely chilled; about 3 hours. Cut the avocado into thick slices. Set aside. In a bowl, add the breadcrumbs, coconut flakes and a pinch of salt and pepper. Mix to combine. Place the avocado slices into the breadcrumb mix and roll to full coat. Place the avocado slices on a baking sheet and bake for 8-10 minutes. 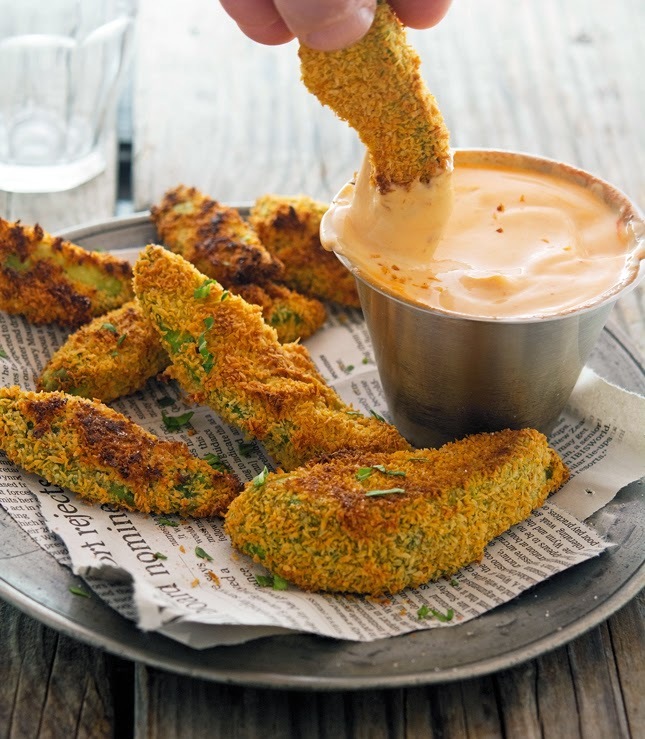 Serve with a dipping sauce of choice or eat them as they are. Enjoy! Perfect for the fall and winter seasons! 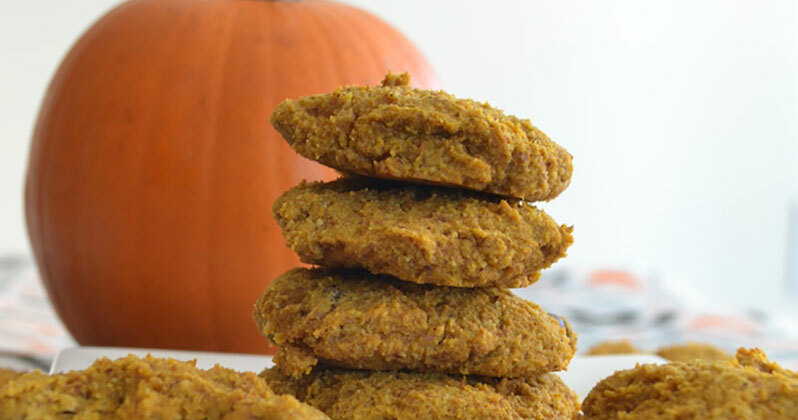 Add the pumpkin puree, egg, date sugar, and vanilla extract and mix well again. 1 bunch kale or cavalo nero, stalks removed. Preheat the oven to 200°C / 400°F. 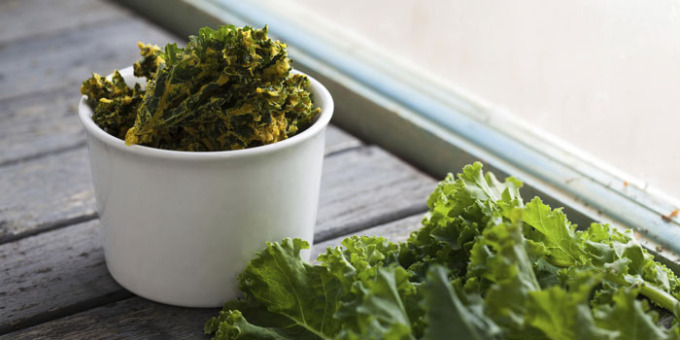 Tear the kale roughly into 4 cm squares. Toss in the oil and salt, then lay on a baking tray and cook for 5-10 minutes until crisp. Can be eaten either hot or cold. 1 tablespoon chia seeds, preferably white. 1 cup Sweet Potato Purée. 3 tablespoons coconut oil, softened. 2 tablespoons coconut milk (or cream). 1 teaspoon granulated stevia, or 1-2 teaspoons rice malt syrup. handful shredded coconut, toasted if you like. Combine all the ingredients except the shredded coconut, stirring well. Cover and refrigerate for at least 1 hour. 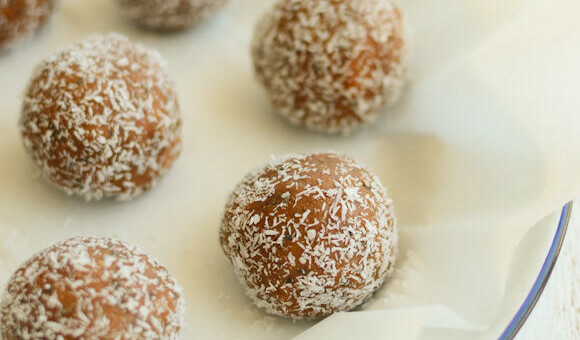 Scoop out teaspoonfuls and roll into balls, then roll in coconut. Store in the fridge for a week. 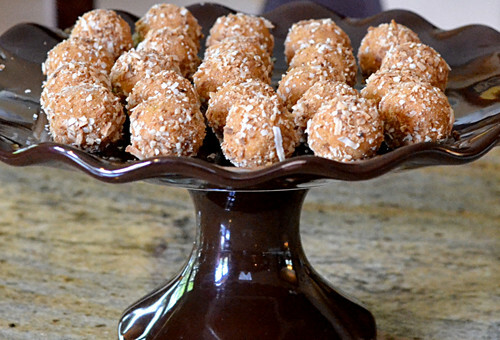 Serve these Sweet Potato Truffle Balls as a decadent after dinner treat, as part of a high tea, or as an after school pick me up for kids. 1/4 cup organic oil of your choice (I prefer coconut oil). 3/4 cups popcorn kernels (this equates to around 10 cups popped popcorn). 1 cup Pureharvest Organic Rice Syrup. First things first, make the popcorn! 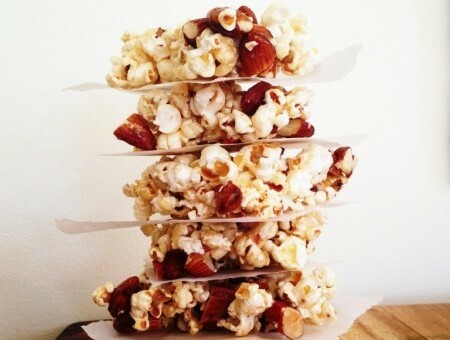 You can do this in a popcorn machine or make your own. To make your own: heat the oil in a heavy based saucepan with a well fitting lid until hot. Add popcorn kernels and place the lid on. Once you hear the kernels begin to pop, give the saucepan a shake to help stop them sticking to the base . As soon as the popcorn stops popping, or the popping becomes quiet, remove from the stove and pour into a large bowl, and set aside. Meanwhile, place almonds on a tray and roast for about 10-15 minutes at 180°C. Remove from oven and set aside. Heat syrup in a heavy based until it starts bubbling. Allow it to bubble away for about a minute. Add the popcorn and stir until it’s well coated. Add the nuts and stir until they’re coated. Remove the mixture from the stove, and pour onto a non-stick oven tray, or any glass or ceramic tray you have lying around. Wet your hands with some cold water, press the mixture down, so that it becomes compact and flat. Leave to set at room temperature for about one hour. After it has hardened, cut it into squares, or break it up into odd shapes and sizes for a more rustic feel. 1 teaspoon finely grated ginger. 1 long red chilli, finely chopped, optional. Combine syrup, tamari, water, garlic, ginger and chilli in a shallow dish. Add chicken and toss to coat well. Place in fridge to marinate for at least 2 hours. Preheat oven to 180ºC / 350ºF / Gas Mark 4. 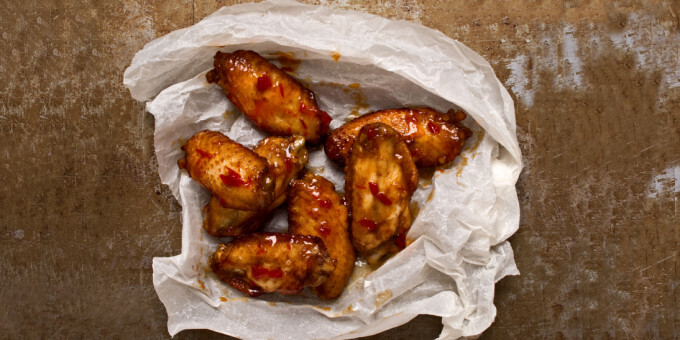 Transfer wings to a baking paper lined baking dish. Bake for 40 minutes turning and basting halfway through. 1/4 cup organic coconut cream. 1 heaped tablespoon rice malt syrup (optional). 1/2 cup melted coconut oil. 1/2 cup organic cocoa powder. 3 tablespoons rice malt syrup. Toast desiccated coconut in a preheated oven (160 degrees C) until golden brown. This should only take a couple of minutes. Mix together toasted coconut, Coco Quench, vanilla extract and salt. 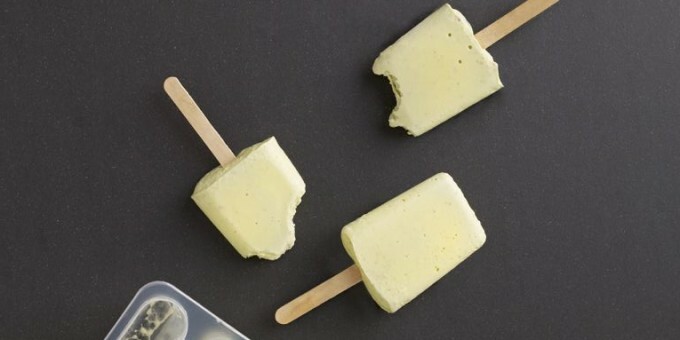 If you want a sweeter and creamer icy pole add Rice Malt Syrup and coconut cream. Once the mixture is well combined spoon it into icy pole molds and place in the freezer to freeze. This should take around 3 hours depending on the size of your icy poles. Place all the ingredients into a blender and blend until well combined and smooth. The mixture should be nice and glossy. Pour the mixture into a small glass and set aside to cool. When the chocolate is at room temperature, dip each coconut icy pole into the chocolate to coat. Sprinkle with shredded coconut and gently place on a tray lined with baking paper and place in the freezer until the chocolate has hardened. 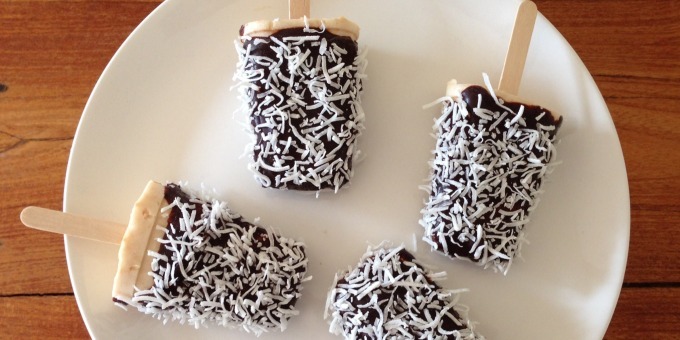 Your coconut choc icy poles are now ready to be enjoyed. 1/4 cup Bare Blends Organic Dark Cacao Native WPI. * Store these bites in a container in the freezer. They will last a few weeks. 1 1/2 teaspoon cumin seeds. 2 teaspoons white sesame seeds. 2 teaspoons black sesame seeds. 4 teaspoons pepita and/ or sunflower seeds to scatter over. 3-4 sweet potatoes (cut into rustic, chips/ wedges). 2 tablespoons melted coconut oil/ olive oil. 1 whole, unpeeled garlic clove for roasting (for the dipping sauce). 1-2 teaspoon chopped fresh herbs to garnish (parsley and chives work well). 75-125 ml water (to achieve desired consistency). 1 roasted garlic clove (that was roasted along with your sweet potato fries). Preheat your oven to 190° C (fan) and line a baking tray with baking parchment. Crush cumin and fennel seeds with a mortar and pestle. Pop crushed seeds into a small bowl with the sesame seeds. Place the potato wedges in a large bowl, drizzle over oil and toss potatoes to coat with the oil. Sprinkle over the seed and spice mix and toss gently to coat. Place the coated potato wedges and unpeeled garlic clove (roast extra for later if you like) on the baking tray. 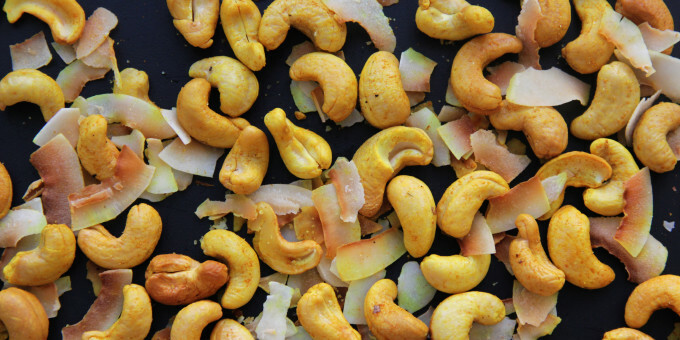 Scatter over pepitas and/or sunflower seeds. 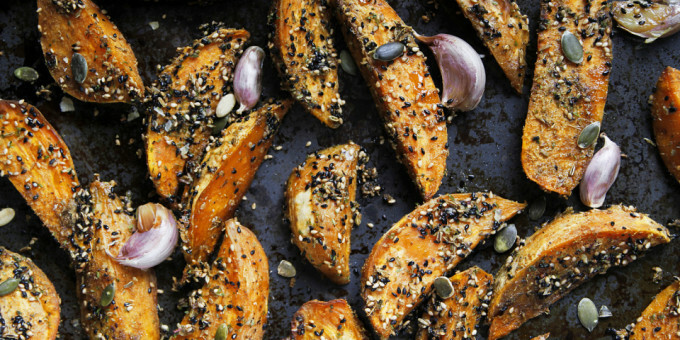 Bake for 35-40 minutes or until seeds are nicely toasted and potato wedges are baked. Turn them after 20 minutes if you like. Squeeze the roasted garlic out of its peel and pulse a food processor, together with tahini, lemon juice, oil, salt and 75 ml of water. Add more water if desired, a tablespoon at a time, to achieve the consistency you want. When smooth and of the desired consistency, transfer to a bowl and sprinkle over fresh herbs. Serve Fries hot, with Tahini Dipping Sauce with Roasted Garlic to accompany. 1 1/2 teaspoon coconut oil. pinch sea salt and freshly cracked pepper. Place all ingredients besides the coconut flakes onto the baking tray and toss together with your fingers. Place in the oven and cook for 10 minutes, tossing after 5 minutes. In the last 2 minutes toss through the coconut flakes and cook until everything is lightly browned. Once cooked, remove from the oven and allow to cool before serving. Bake chocolate cupcakes according to recipe directions and allow to cool. When cream cheese and peanut butter are softened (if the peanut butter is coming from the fridge), mix together with optional sweetener until color and consistency is uniform. 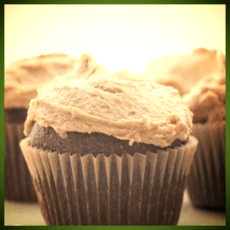 Top cooled cupcakes with dollops or a spread of the frosting. Add optional garnish of crush nuts or dusting of coconut sugar on top. 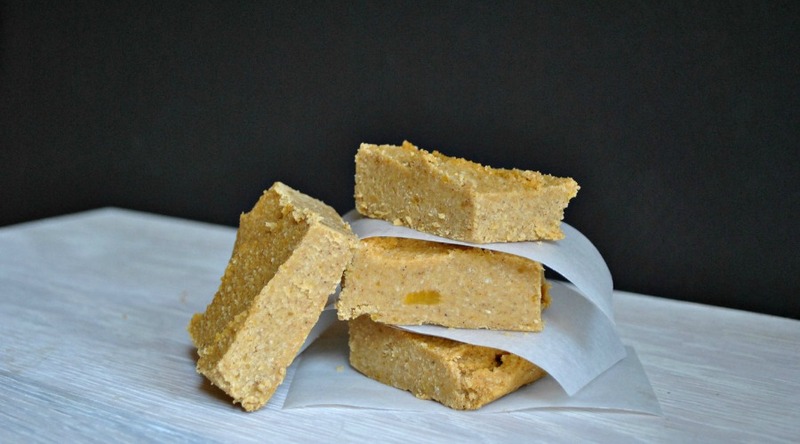 A gorgeous and irresistible treat! 1 cup cashews, soaked for 1-2 hours, then drained. 1/4 cup raw cacao nibs. 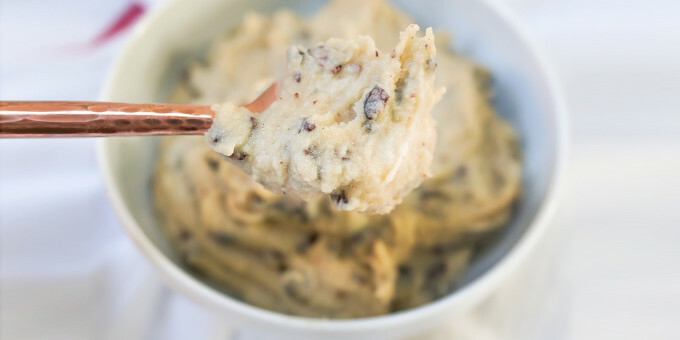 In a food processor, process all ingredients except cacao nibs until very, very smooth, about 3 minutes (you want to give the cashews a chance to release their oils). Add in cacao nibs and pulse 4 - 5 times to distribute well. * Store in the fridge for 4 - 5 days, or in the freezer for 6 months, taking out a spoonful at a time when you get a sweet craving!